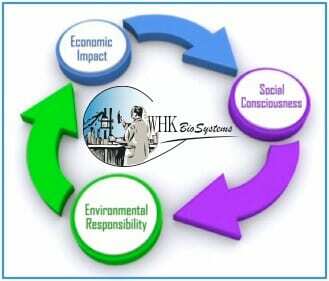 WHK’S Mission is to be the industry leader in Innovation, Solutions, Service, and Social Responsibility. As a family-owned and operated company, WHK, and its parent company, TSE Industries, Inc., have always operated with family values, and treat everyone as we want to be treated. This holds true for our employees, customers, partners, suppliers, and anyone we have the pleasure to come in contact with. WHK and all of its business associations create a family and a workplace of which we are all proud to be part. We respect and safeguard the intellectual property of our customers and value the trust they place in us. WHK BioSystems, LLC is committed to providing products and services that ensure conformance to our customer requirements and meet applicable regulations. Our Quality Management System provides the framework for establishing and achieving our quality objectives. WHK strives to continuously improve the effectiveness of its Management System by periodically reviewing the results of its business processes and ensuring they remain suitable.